It’s no secret that my little crew loves exploring, and I am proud to say that libraries are one of their favorite places to visit. In fact, we made it our little mission to explore as many as we could. 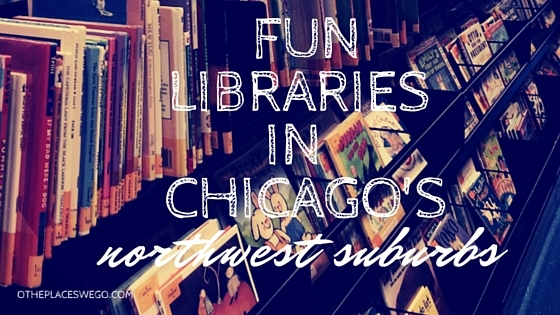 Here are a few worthy library destinations in the northwest suburbs of Chicago. 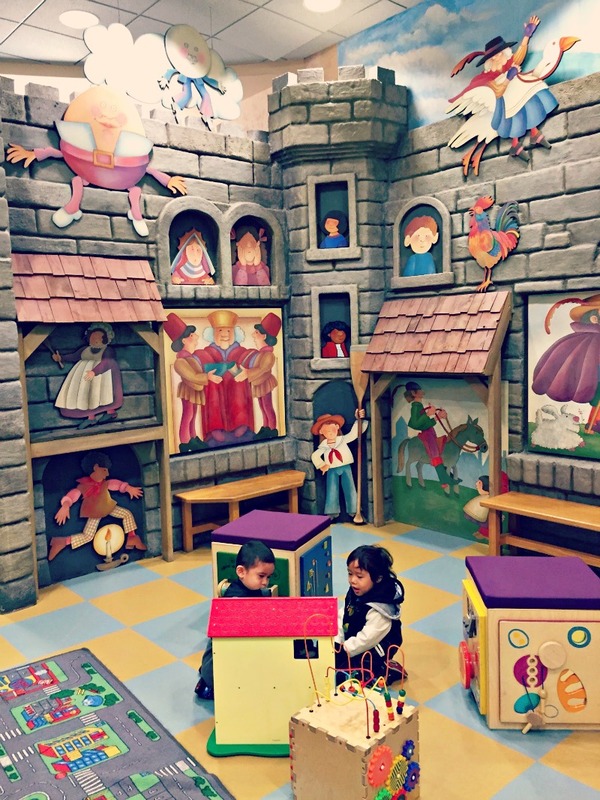 Why you should visit: They completely renovated their children’s area, Kid City, and quite honestly, this area can be mistaken for a children’s museum. It rocks! 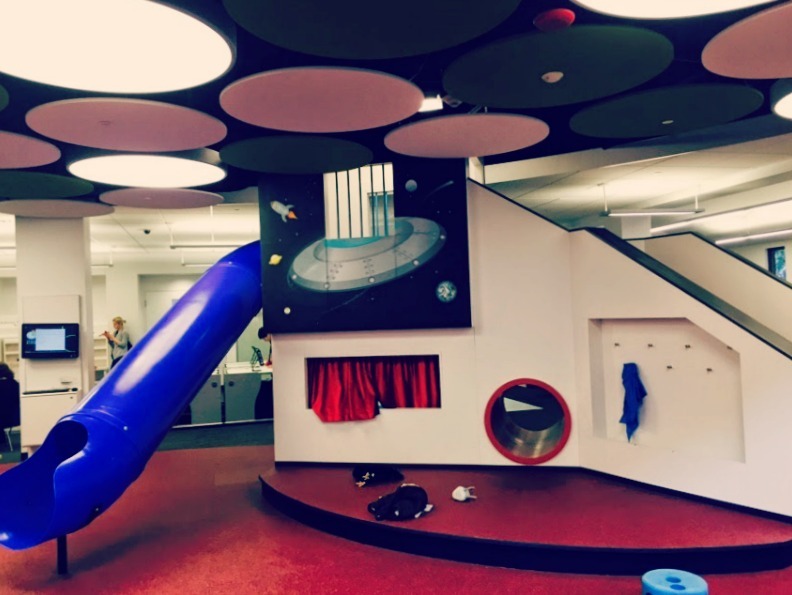 Why you should visit: Seriously, a library with a slide? This, along with other too-cool features such as a lite bright wall, floor blocks, and a small LEGO room, makes this one of our other favorite places in the NW ‘burbs. Why you should visit: The kids area is transformed into a whimsical Enchanted Forest with your favorite storybook characters. Such a cute area and perfect for cozying up and reading a story. Why you should visit: Simply one of the best libraries around! 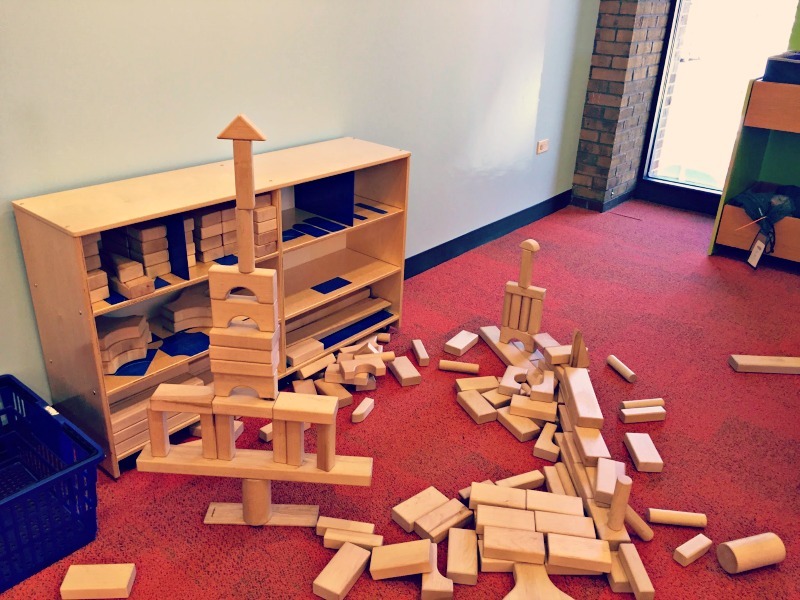 My kids always gravitate to the wooden block section. 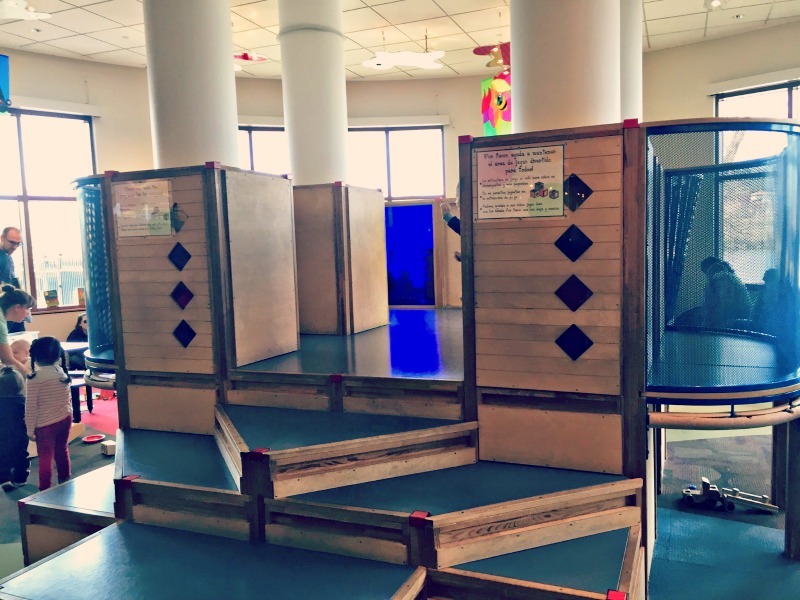 Why you should visit: A pretty large children’s area with plenty of toys that encourage imaginative play, plus a nice selection of dinosaur figures. Why you should visit: A really awesome play structure, plus great views of the Fox River and the train chugging by. 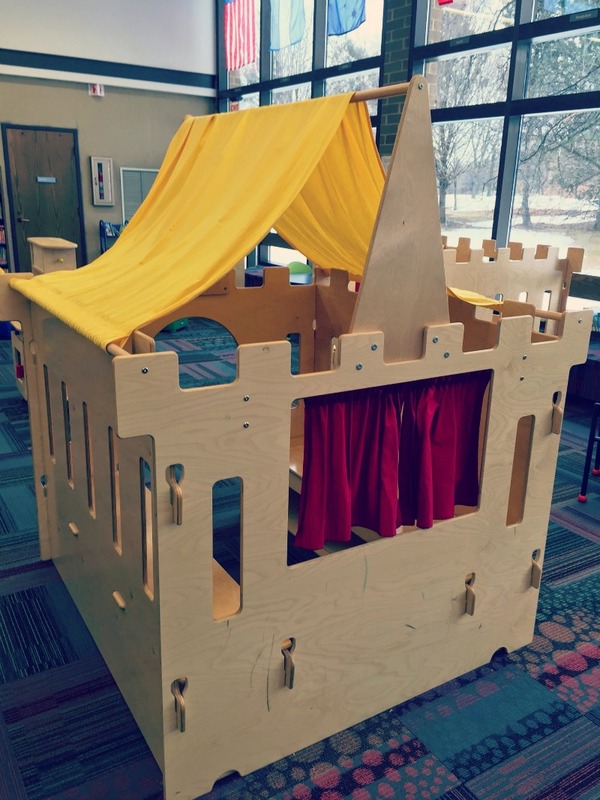 Why you should visit: The library renovated their entire children’s department in 2018 and it’s back and better than ever. They now have a dedicated children’s play area with a light wall, plenty of toys to keep the kids occupied, and seating for parents/caregivers. What is your favorite library?